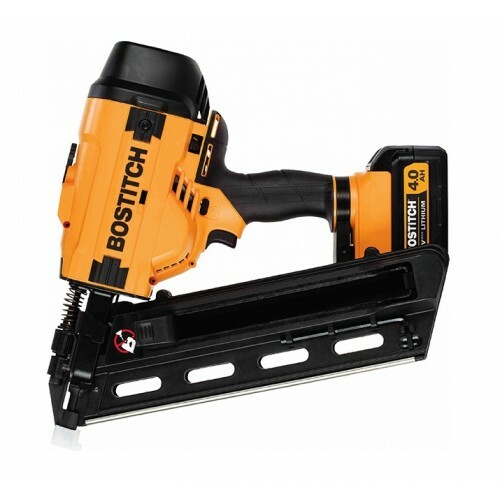 The new BOSTITCH™ BCF28WW 20volt cordless battery nailer is a light and powerful stick framer for the construction industry. The body is designed to be lightweight yet highly durable. 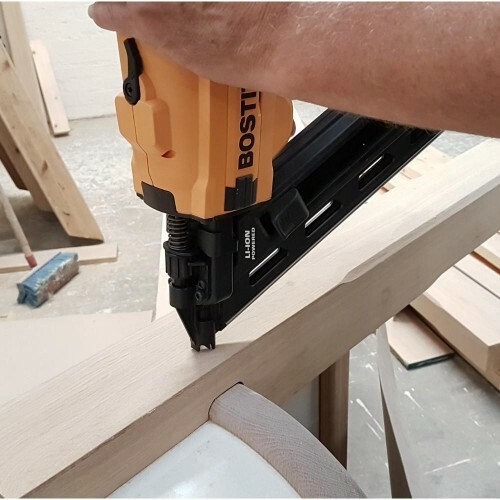 The BCF28WW 20volt cordless battery nailer features a compact design, a nose that is adjustable for easy depth adjustment ideal for switching from general framing to flooring or cement fibre board. 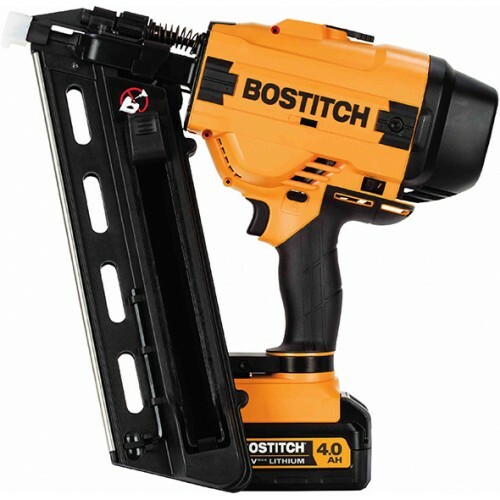 The tool offers a back loading magazine and is easy to load whether the user is on the ground or 30 feet up in the air. It uses 28 degree wire welded stick nails for superior performance. The convenient adjustable hanger means the tool is always on hand even when meters off the ground. Sequential trip requires operator to hold nailer against work surface before pulling trigger. This makes accurate nail placement safer and easier. 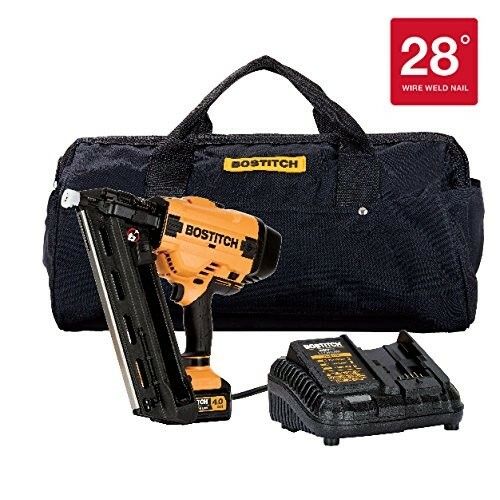 This tool comes with a 20 volt 4.0Ah rechargeable Li-ion battery and 230/240 volt charger in a versitle kit bag. Great tool for Timber Framing, Particle board flooring, Fence battens & rails, Cement fibre board. Adjustable depth control for flush nailing. Aggressive teeth design grips timber. Uses 28 degree wire welded nails. Code: S65R306SS Length: 65mm x 3.06mm Quantity: 2000 Description: SIFCO® Stainless Ste..
Code: S75R306SS Length: 75mmx3.06mm Quantity: 2000 Description: SIFCO® Stainless Steel..
Code: S90R315SS Length: 90mm x 3.15mm Quantity: 2000 Description: SIFCO® Stainless Ste..
Code: S50R287 Length: 50mm x 2.87mm Quantity: 2000 Description: SIFCO® Bright Ring Sha..
Code: S50R287HDGAL Length: 50mm x 2.87mm Quantity: 2000 Description: SIFCO® Hot Dipped..
Code: S60R287HDGAL Length: 60mm x 2.87mm Quantity: 2000 Description: SIFCO® Hot Dipped..
Code: S65P287 Length: 65mm x 2.87mm Quantity: 2000 Description: SIFCO® Bright Smooth S..
Code: S75P306 Length: 75mm x 3.06mm Quantity: 2000 Description: SIFCO® Bright Smooth S..
Code: S75R306HDGAL Length: 75mm x 3.06mm Quantity: 2000 Description: SIFCO® Hot Dipped..
Code: S90P315 Length: 90mm x 3.15mm Quantity: 2000 Description: SIFCO® Bright Smooth S..
Code: S90P315GAL Length: 90mm x 3.15mm Quantity: 2000 Description: SIFCO® Electro Galv..
Code: S90R315HDGAL Length: 90mm x 3.15mm Quantity: 2000 Description: SIFCO® Hot Dip Ga.. 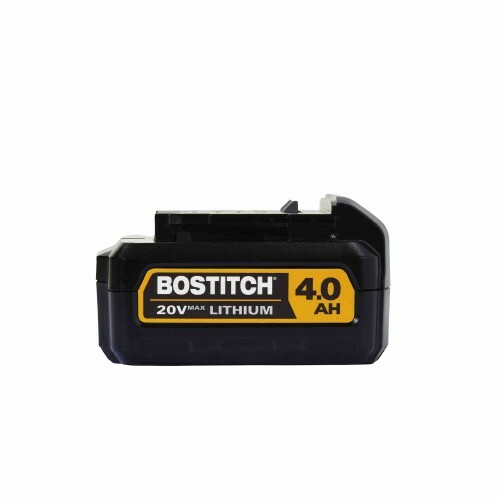 Description: BOSTITCH™ 20v 4.0Ah Li-ion rechargeable battery Features: Fits Bostitch BCF28WW.. Description:BOSTITCH™ 20v Li-ion Battery Charger for BOSTITCH™ Cordless Battery Nailers Features: ..